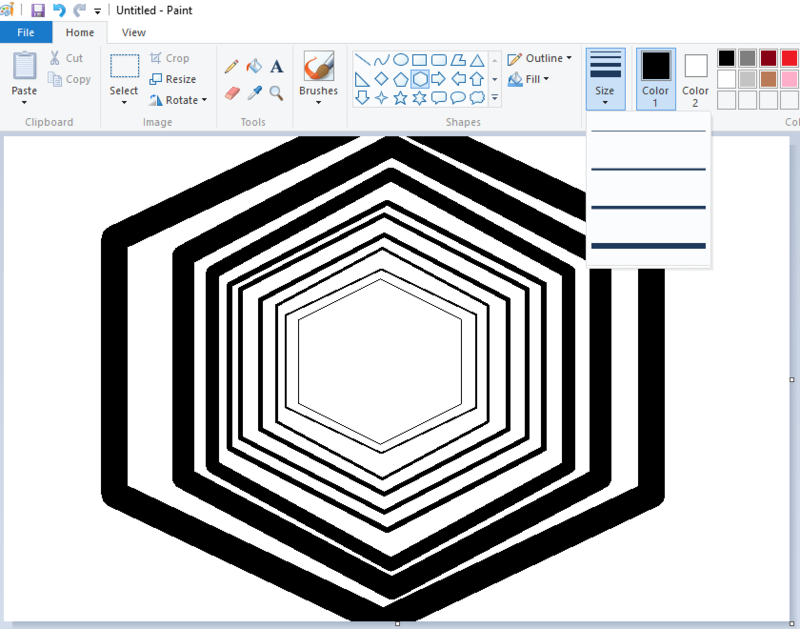 Ask anyone, how many number of brush sizes are available in MS Paint and you will instantly hear there are only 4 sizes. Well, they say that because MS Paint GUI shows only four choices for brush size. But you know, it offers just more than the GUI shows (Size pull down in the toolbar). Have a look at the below image, where you will notice more brush sizes. How did i do that? Well, even you can do that using the below trick. All you need to do is, just select the tool – either pencil, eraser, or shape such as rectangle, circle etc…and hold CTRL key with + button on the num pad to increase the brush size. To decrease, use CTRL key with - button. Just move the mouse over Size pull-down in the toolbar and you will notice tool tip suggesting CTRL+ and CTRL -. Cool isn’t? Don’t just go away, you may want to know how to blur an image in MS Paint. Do you have any such trick in MS Paint? Let’s know in the comment section. It doesn’t seem to work in mine. My laptop is Windows 7 Enterprise.